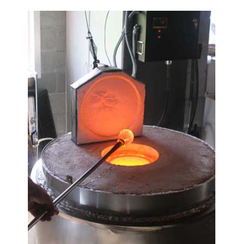 Our product range includes a wide range of glass furnaces and glass melting furnace. With our extensive industry experience, we manufacture & supply a superior range of sheet glass furnaces for our clients. These sheet glass furnaces are used in the installation of electrical/gas heated roller type continuous lehrs for the sheet glass industry. All the furnaces are made of high grade raw material that provide them quality as well as strength. We also conduct stringent quality checks on our product range before sending it to the client.